Lawyers for VW shareholders, bondholders file lawsuits in Germany, U.S.
LONDON -- Law firm Quinn Emanuel has filed one of two lawsuits in Germany against Volkswagen Group for institutional funds in claims that could run into billions of euros over the carmaker's emissions scandal, litigation funder Bentham Europe said on Tuesday. "The breadth of the shareholder base that is represented by Quinn Emanuel should be a wake-up call to Volkswagen AG that it needs to engage with shareholders now, resolve matters and concentrate on regaining its market share," said Jeremy Marshall, chief investment officer of Bentham Europe. The emissions scandal has forced out Volkswagen's previous CEO Martin Winterkorn, tarnished one of Germany's most renowned corporate brands and driven down VW's share price since it erupted last September. Bentham Europe, which plans to publish more information after the second lawsuit is filed in Germany, said the claims related directly to the sharp fall in VW's share price in the week beginning Sept. 21, 2015. It said the lawsuits were representing a "true cross-section" of the investor base of the embattled company, from sovereign wealth funds and international asset managers to public and multinational company pension funds, including the California State Teachers' Retirement System (CalSTRS). Separately on Tuesday, Volkswagen Group and the VW Group of America were hit with a lawsuit from bondholders filed in the U.S. District Court in San Francisco. The suit, filed by law firm Labaton Sucharow LLP on behalf of the Boston Retirement System, seeks class action status and alleges that “misleading statements and omissions” by the automaker caused about $8 billion worth of bonds sold by the company from May 23, 2014 through Sept. 22, 2015 to trade at “artificially inflated” prices, according to a statement by the firm. The value of those bonds fell after VW’s emissions violations became public, the firm said. U.S. authorities were probing the cause of excess emissions in 2.0-liter diesel VW vehicles during that time period. 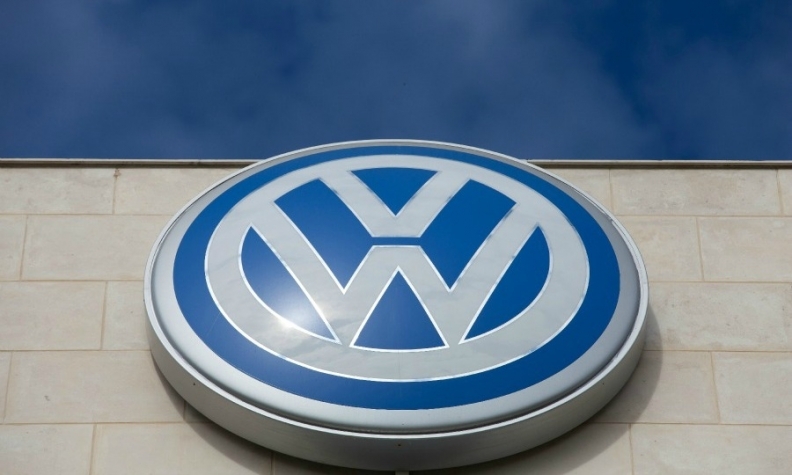 VW admitted last September to using software designed to fool emissions tests. VW, which is facing a handful of investor lawsuits, admitted last September it had cheated U.S. diesel-emissions tests and that illegal software was installed on up to around 11 million vehicles worldwide. Reuters and Ryan Beene of Automotive News contributed to this report.